Luxury watches are our passion, but just like anything worthwhile they don’t come cheap. Precisely, because of this we turn out attention to those online replica companies that are able to supply high end fake watches at affordable prices. Cheapsaleuk.org.uk is one of the merchants that feature a very diverse collection of outstanding knockoffs, timepieces made to complete our collection. 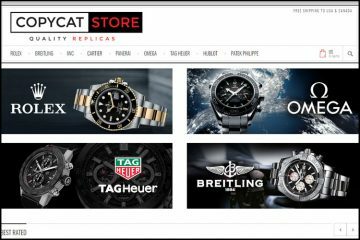 This online replica store has a very nice design enhanced by an extra-large promotional banner placed right in the center of the homepage, a white and gray color scheme and a well-structured top bar. 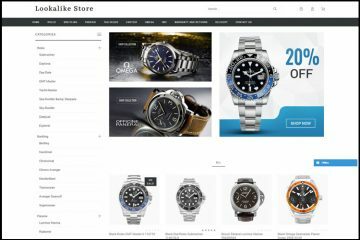 It looks just like a professional fake watches website, one that knows how to invite people to shop for beautiful imitation watches. Scrolling down the page we find also the sponsored products as well as the links to the informative pages. 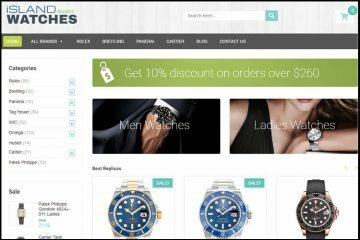 Cheapsaleuk.org.uk is one of the few replica merchants that actually seem to care about its image and this is why it took the time and effort of organizing an elegant online store of clone designer watches. The discrete and simple top menu bar includes only seven watch brands. At first you are tempted as to believe that these are the only watch names available, but the truth is that this online replica store has an endless list of available watch brands, and I’m not exaggerating. I dare you to scroll down this very long list and say otherwise! It includes pretty much all the famous luxury watch brands I have ever heard of. Furthermore, each brand is divided into sub-categories nicely organized by the original collection name, and each one of them features hundreds of different designs. Cheapsaleuk.org.uk sells both Swiss and Japanese replica watches and all prices are listed in GB. The fake Swiss watches cost about 180-500 GBP while the Japanese imitations are 60-90 GBP. These prices seem pretty fair to me. Almost all online replica stores have the same price range for their products. Right on the bottom of the page we see that the payment methods that this replica merchant can process are Visa, Mastercard, Maestro, Delta and American Express, but this is not correct as after checking out not all of these options are available. Still, I am not at all upset by this minor detail. How is this possible? Simple! I have finally found a replica website that is able to process both Visa and Mastercard payments. There are not that many fake watches companies that can accept Mastercard so when I find one, it must show my appreciation for it. The company provides a 7 days refund policy. The only thing you need to do for this is to contact the company and inform them about your dissatisfaction. Of course, they will provide you with the necessary return information so you can send the watch back for a refund. You will have to pay for all the return costs, but at least the merchant does not charge a restocking fee. To request a replacement you have 14 days from the day you receive it to notify the website about this problem. Again, the return fees must be paid by the customer, but the company does not charge any replacement or re-shipment fees. Unfortunately, the policy does not say anything about any repairs warranty in case the replica watch breaks after the first 14 days. Due to its wide collection, this seems to be like the perfect place for any watch passionate person, if it wouldn’t be for the fact that the Advanced Search does not work correctly and there is no filter to sort the knockoffs. To find a particular model that you are interested in buying, you just need to go old school and view page by page, product by product. Reading the product description page I have noticed that it is written in broken English. That is really too bad as it does contains all the important specifications about these replica watches. Each particularity of the inside mechanism, of the outside design, of the materials that have been used and of the markings’ and weight are thoroughly presented. Even though, the Shipping policy states that the delivery is free for most countries, no country actually benefits from free shipping. The delivery costs start at 9.95 GBP and for this amount, your package will be sent out with EMS. The delivery will take about 5-10 business days to all major countries, but for some countries like Argentina, Qatar, Sweden or Lebanon, the estimated delivery time is 20 business days. That is a lot of time for expecting the delivery of a replica watch paid up front with your credit card! All packages are shipped with a tracking number that can be used to see the exact location of your shipment. 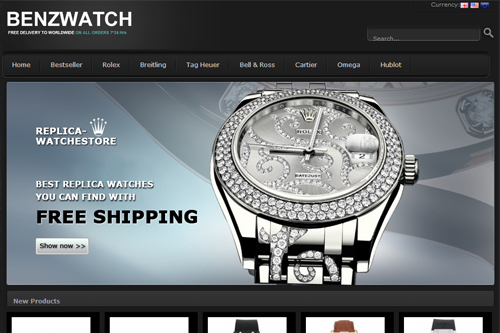 Customer service: Are you tired of fake watches websites that are unable to provide real customer service? Of online replica stores that are almost impossible to reach? Though luck as Cheapsaleuk.org.uk is certainly not the type of merchant that bothers to offer a responsive customer care department. You can get a hold of someone only by sending a message through the Contact Form listed on their webpage. Do not even dare hoping for a phone number, email address or live chat. Cheapsaleuk.org.uk does not waste its resources with such useless services. 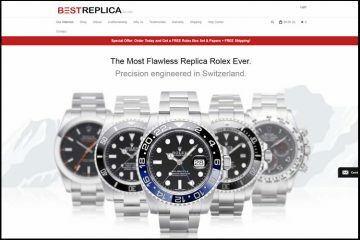 Summary: CheapSaleUk.org.uk is just like most online replica stores: it looks great, it sells a wide collection of wonderfully crafted fake watches, it has fair prices, a refund policy and it is even able to process MasterCard payments. Still, there are numerous other serious things that make us doubt that it is a good option for buying replica watches online: it does not have a responsive customer service, its products pictures seem to be copied from different sources, and it lies about offering free delivery. This company are great dealing with queries and are very responsive but when you order a watch they take your money then advise it’s not in stock I tried different alternatives but none in stock, I have now sent 4 e mails to get my money back and no response.I would avoid dealing with this company and its affiliate companies.I am still awaiting my refund and will have to go through my credit card for a refund. AVOID AVOID AVOID AVOID AVOID AVOID AVOID AVOID AVOID AVOID AVOID AVOID AVOID AVOID AVOID AVOID AVOID AVOID AVOID AVOID AVOID RECURRING……………………………………..
YOU ARE AN IDIOT IF YOU PURCHASE FROM THEM. LIKE I WAS. PLEASE DO NOT BUY FROM THIS COMPANY OR ANY LIKE IT – NOT WORTH IT. Bought a replica from them a few months back after coming across a few decent reviews. I thought for £80 I would get something that at least worked as a watch. Lesson learnt, don’t buy Chinese tat. 1) It’s kinetic but within an hour of taking it off it will stop. 2) the bracelet broke – one of the little pins came out for no apparent reason. 3) It is difficult to change the date. 4) The most annoying part – the little, gold markers for 2pm has come loose and moves about under the screen – looks utterly crap. Thank you all for posting reviews on here, I was just about to purchase 160 pounds worth of rolex scented fresh air.